Most trusted solution to convert OST to MBOX files for Thunderbird, Apple Mac Mail, Opera Mail, SeaMonkey, and, etc. The OST to MBOX Converter has multi-tasking advanced features. Imports Outlook OST emails into MBOX files, Thunderbird Mail, Apple Mail, and etc. along with attachments. Migrates complete files of OST to MBOX file format and other formats. Converts the selected OST files to MBOX file formats and others. Save the MBOX files at your desired location. Fully conversion of OST files up to 69.9 GB tested in the laboratory. 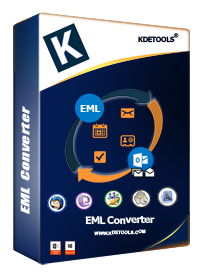 Converts Outlook OST file to MBOX, PST, EMLX, EML, MSG, HTML, PDF, vCard, vCal and, etc. Scans and get a preview of the corrupted inaccessible OST files before the conversion. Converts OST to MBOX by preserving the hierarchy of OST files. Supports both ANSI and Unicode OST files. Compatible with all the latest versions of Microsoft Outlook and Windows. *Demo Version Recovers / Preview complete OST file items and allows to save only 30 items from each folder. The OST to MBOX converter converts OST files to MBOX files in just a few steps. The converter is designed with advanced features to export Outlook OST file such as Emails, Contacts, Calendars, Tasks, Notes, Journal and, etc. It can also convert the Exchange OST emails along with attachments to MBOX file format. The OST to Thunderbird imports the Outlook OST files to Apple mail and Thunderbird mail. The software is designed to convert the offline OST files to MBOX Apple Mail, Thunderbird, Netscape, Eudora, Spicebird, Entourage, Claws Mail, Opera Mail, Mozilla Mail, Evolution, Pocomail, Sylpheed, Mulberry, SeaMonkey and many more. The OST to Thunderbird converter allows you to see the preview of complete OST mail items. It has the fastest scanning option to scan your OST files in a very short time period. You can take a preview of each and every file and folder. You can see the preview of Inbox, Outbox, Sent Items, Drafts, Deleted Items, and sub-folders. The OST to Apple Mail Converter software provides an option to directly upload OST file to Office 365 and a Live Exchange server. So, the users can import the entire OST mailbox data to Exchange server and Office 365. To complete this process, you just need to have Office 365 and Live Exchange server authentication. The OST to MBOX converter tool maintains the hierarchy of the OST files and folder while converting the OST files to MBOX file formats. It also maintains the structure of Email Meta properties such as To, Cc, Bcc, Images, Subjects, Dates, etc. and Attachments such as IMG, DOCX, XLSX, PDF, PPT, and etc. 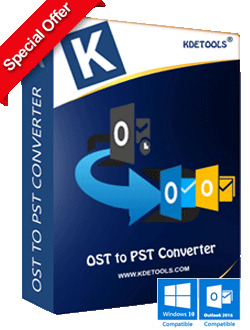 The OST Converter software is designed with the latest technology, which supports all the latest and updated versions of the Windows and Outlook. Windows versions: Windows 2010, 2008, 2007, 2003, and etc. Outlook versions: Outlook 2019, 2016, 2013, 2010, 2007, 2003, and etc.